At least 36 People were shot by Police between August-November. -IMLU - Bana Kenya News, Real African Network Tubanane. More than 70 People died between July and November this year in the hands of Police officers according to data given by the NASA coalition collected from the field. The red cross also got their numbers about the death toll in Kenya during the electioneering period. A Kenyan human rights body announced Wednesday that the 23 people died following the August Elections and another 13, before, during and after the repeat elections done on October 26. The Independent Medico-Legal Unit (IMLU) said there was evidence that the police responded to riots using indiscriminate force with no chance for other models of policing, especially in opposition strongholds. IMLU said it had recorded grievous violations of human rights committed by the National Police Service during the elections period. 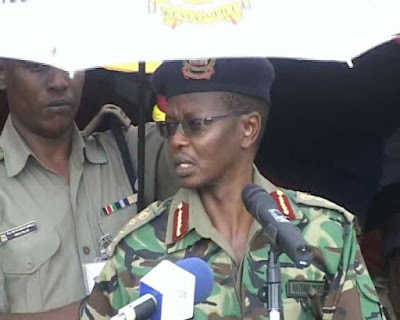 Executive Director Peter Kiama also questioned the coordination in the security forces, saying that many areas received newly deployed police officers without the knowledge of the officers in charge of the division. Police have denied participating in any killings as ordered by the state. The Inspector general of Police Joseph Boinett has declined the request by activists to give his number of deaths since August.